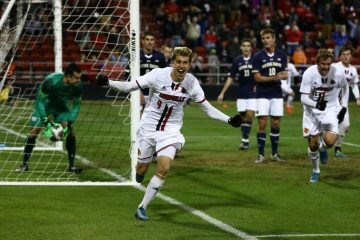 Both Louisville men’s and women’s soccer teams fell to Kentucky on the pitch for the 2016 season. The following are both recaps from team Sports Information Director’s Kim Pemberton and Garrett Wall, respectively. 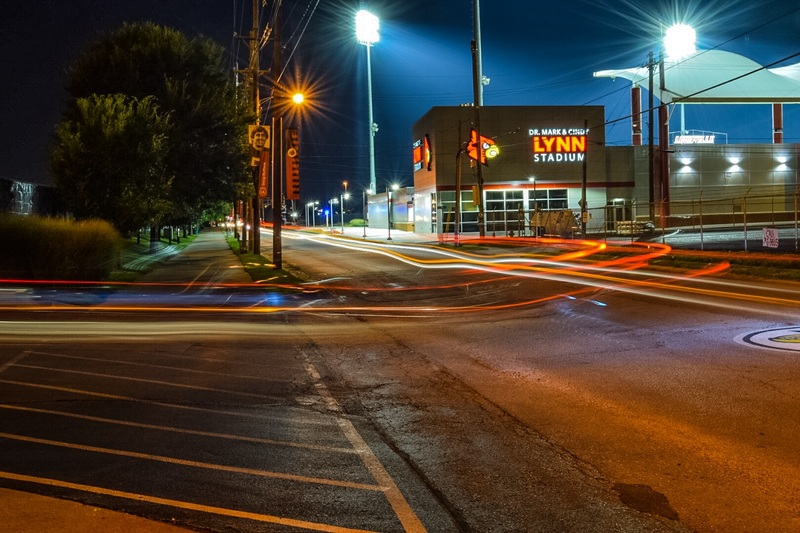 Louisville (3-1-1) women’s soccer team fell to Kentucky 3-1 at Lynn Stadium this past Friday night. 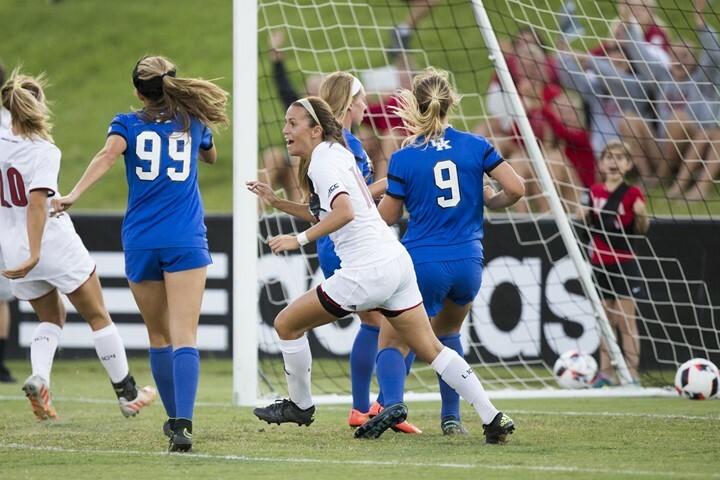 The Cards gave up two second half goals, falling for the first time this season (6th consecutive losses to UK). Louisville struck first at the 7:43 mark as Sarah Feola flicked one just out of Evangeline Soucie’s, the Kentucky goalkeeper, reach, with the assist from Jill Vetere. The score would be equal 23 minutes later with a goal by Kentucky’s Tanya Samarzich. The Wildcats opened the second half scoring with a goal from Kaitlin Miller at the 50:49 mark. Miller was able to get a head on a cross sent in the box by Kelly Novak in order to give Kentucky the 2-1 lead. Zoe Swift was able to net the insurance goal in the 75th minute for Kentucky on a counter attack after a Louisville corner kick. Foster Ignoffo and Marissa Bosco assisted on the goal for the Wildcats. The Cardinals were able to outshoot and corner the Wildcats 18-7 and 7-3 respectively, but were unable to find the back of the net enough to get the win as they took their first loss of the season. Emotions ran high in this rivalry rematch vs the Cats. A scuffle in the box lead to yellow cards for a Cat, Kaitlin Miller and a Card, Jill Vetere. Before the game, head coach Karen Ferguson-Dayes said her team ‘(was) ready’ to get this win in front of the home crowd on Friday night. The early goal was evident of that but the Cards could not convert on the 17 other attempted shots while UK was able to 3 times on their only 7 attempts. Louisville is a talented and young team looking to surprise the nation, the coaches and even themselves in the post season this and years to come. Not being able to convert on the many chances, youth hindered the Cards ability to control the match and secure a victory over the Cats. Coach Ferguson-Dayes and the team will look to grow in loss and blossom into a future veteran squad. The men’s team was also not able to get the win over rival and 17th ranked Kentucky, on the road. Tuesday’s result was the first loss for the Cardinals against the Wildcats since 2012. 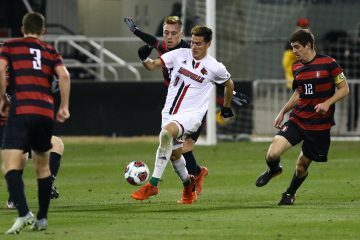 Louisville entered the annual Battle of the Bluegrass match having won back-to-back contests and five of the last six in the series. 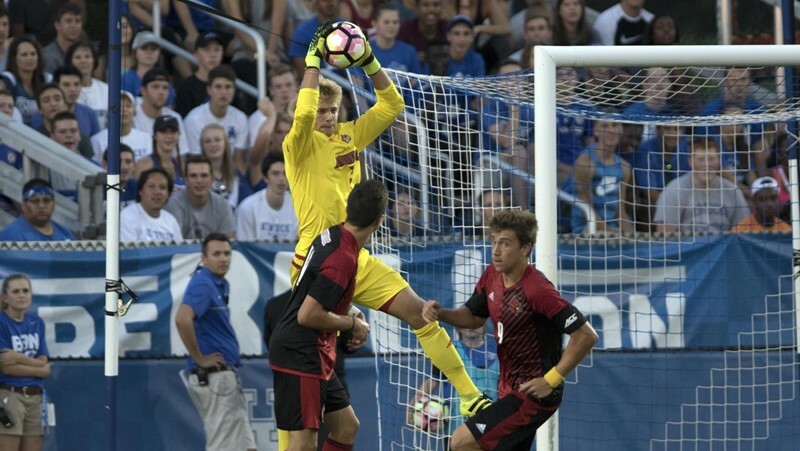 Kentucky delivered the only goal of the match in the 41st minute when Noah Hutchins connected on a header from eight yards away for the 1-0 lead. The scoring chance started when Charlie Reymann fired a free kick from beyond the midline into the box, where Hutchins tucked it beneath the crossbar for his second goal of the season. No one wants to lose to their rival, ever, but the Cards are also coming off a solid victory in Storrs, Connecticut vs the 14th ranked Huskies. The good news is the Cards’ season does not hinge on the results vs Kentucky (can’t say the same about the Cats in conference USA, Louisville is just about Kentucky’s biggest opponent). The Cards have plenty of opportunity to face several ranked opponents in the coming weeks (mostly at Lynn Stadium, too!). I’ve said it before and I’ll say it again, you just never know what will happen in rivalry games. Soccer is no exception to that rule. However in this game, any single miscue, could find to be the difference between win and loss. There is no time to dwell, only to look forward to the next ranked conference opponent.